This week schools all around the country discussed ways to stop bullying. At Hollydale, we also took part in activities to help us understand more about bullying, how we can recognise it and how we can work together to stop it. These are some of the activities and events that we participated in to raise awareness of bullying as part of our anti-bullying week. 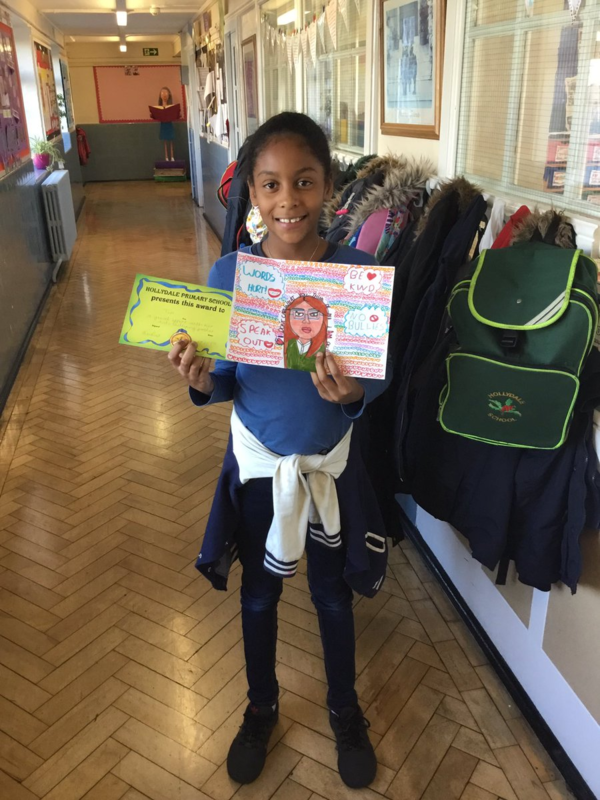 All children started the week by making an anti-bullying poster with the winners announced in assembly on Friday. Some children included the theme ‘All different, all equal’. 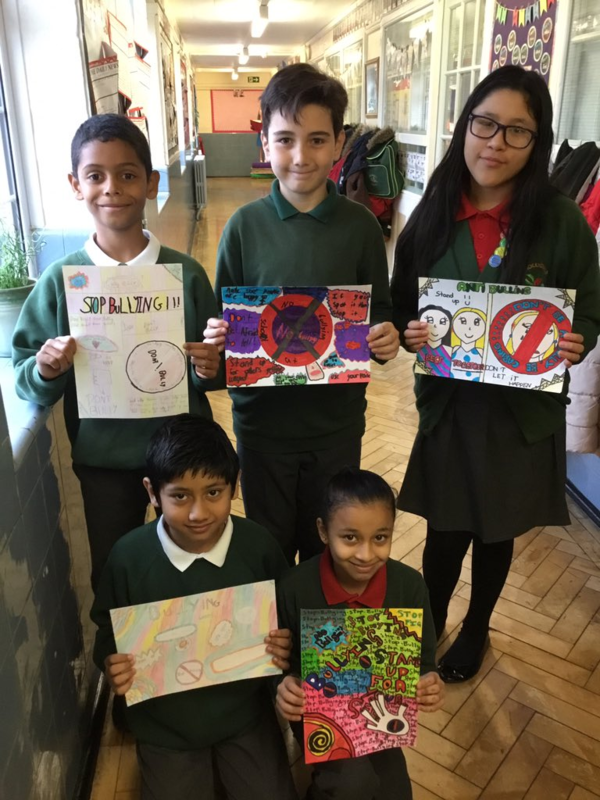 KS2 produced ‘stop’ signs with a simple message to say how we can stop people from being bullied and who we could tell if it happens. UKS2 also investigated bullying online, also known as ‘Cyberbullying’ and produced leaflets or booklets to show what it meant and how it could be reported to adults and stopped. LKS2 took part in role play to show children what bullying meant, how to recognise bullying and who they should report it to if it happened to them. On Wednesday at 1.35pm, the whole school stopped what they were doing, also known as DEAR (drop everything and read). We read silently for 15 minutes to help us reflect on and think about bullying and ways to stop it. On Friday, the whole school came in wearing odd socks and blue to raise awareness of anti-bullying. The school raised £220 through selling anti-bullying wrist bands throughout the week and £1 donations on ‘wear blue/odd socks’ day.